Manny Guzman took his best friend in the world, a dog named OG, for a car ride. 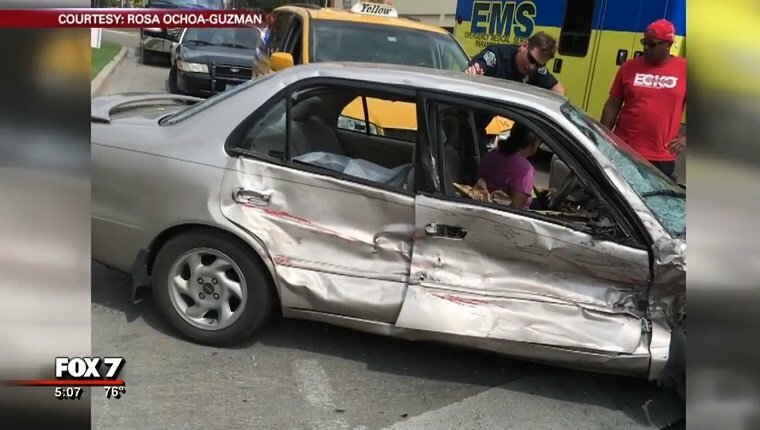 But rather than being a happy time for them, they ended up in a pretty bad car accident. It’s a terrifying experience to be in a wreck, but it’s especially scary for a dog who can’t understand what’s going on. So OG did what many other dogs would do and bolted from the danger. 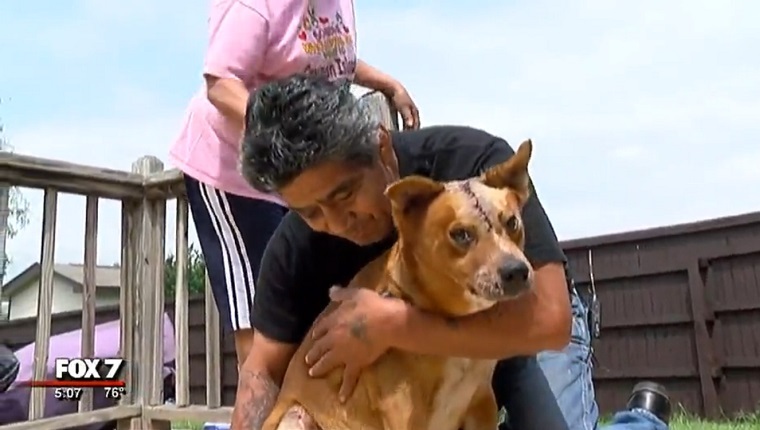 Guzman, despite suffering injuries in the accident, took off after his lost dog. Unfortunately, things had gone from bad to worse for OG. The pup had run into traffic and was hit by another car. Guzman picked up his best friend and carried him off. That’s when firefighters on the scene saw the pair and offered to take OG to the vet. The dog had some pretty bad cuts on his head and was bleeding a lot. But after getting patched up, OG is expected to make a full recovery along with his owner. Guzman said that he got OG when he was a puppy, and he’s been Guzman’s best friend ever since. He’s grateful to the firefighters on the scene who helped him and his pup. That dog means everything to him, as any dog lover could tell you. It’s a great thing to see this pair together again. Would you ignore your injuries to find your lost dog? How far would you go to save your best friend? Let us know in the comments below. Dog Seat Belts: Is It OK For Your Dog To Ride Shotgun?